Michel Navas was born in Spain, but has spent more than two decades in Swiss watchmaking, having studied at the defunct watchmaking school in the French city of Besançon. Arguably one of the leading talents of his generation, Mr Navas spent several formative years in the 1990s at Gerald Genta, then in its heyday as the world’s leading making of exotic, complicated watches. He then worked for Patek Philippe, and also Franck Muller, where he helped developed the signature Crazy Hours complication, an idea born of Mr Muller’s frenetic creativity but left to the constructors to devise. 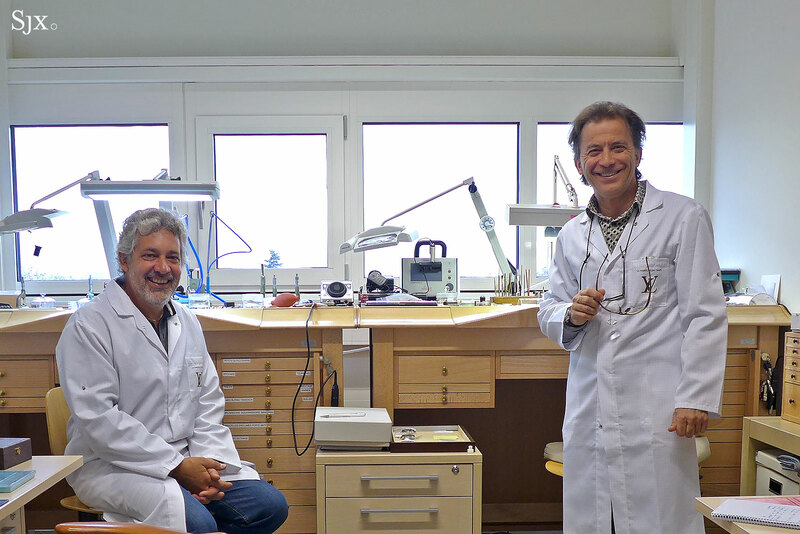 Working alongside Mr Navas for most of his career was fellow watchmaker Enrico Barbasini. The duo struck out on their own in 2004, forming complications specialist BNB Concept with Matthias Buttet, naming the company after their combined initials. The financial crisis put an end to that venture, with Hublot taking over BNB Concept after it went bust. But well before that Messrs Navas and Barbasini sold their stake in BNB Concept, establishing La Fabrique du Temps (LFDT) in 2007, which is where the pair created arguably their best known calibre, the tourbillon for Laurent Ferrier, as well as its subsequent micro-rotor automatic. Enrico Barbasini (left) and Michel Navas, who sit side by side in their workshop. Then in 2012, Louis Vuitton came knocking. Then still in the early stages of its watchmaking endeavour – the brand only started making watches in 2002 – the Parisian trunk maker acquired all of LFDT and then built an expansive new factory in Geneva two years later. While a massive company like Louis Vuitton taking over a workshop like LFDT can spell the end of creativity, the opposite has happened. Even to Mr Navas’ own surprise, Louis Vuitton has been a benevolent parent. We spoke with Mr Navas recently during his stop in Bangkok. This is the edited and condensed interview. 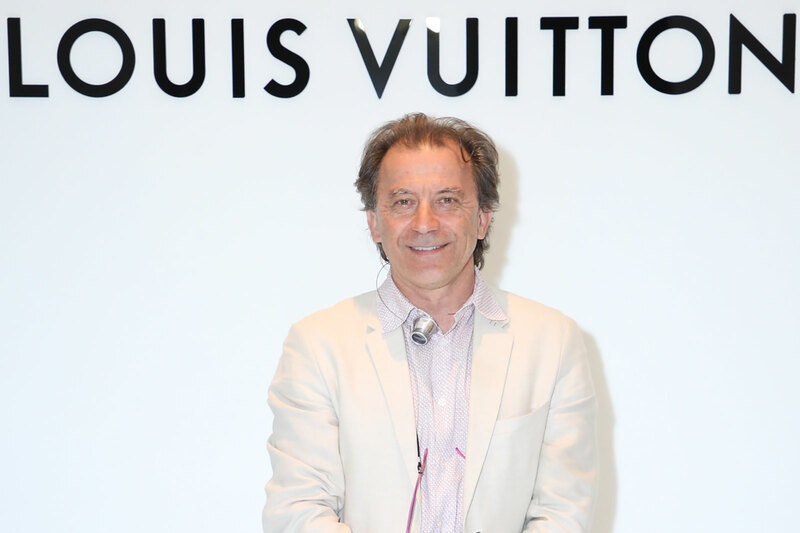 What are the advantages of working for a major brand like Louis Vuitton? Louis Vuitton may be a very big company but La Fabrique du Temps is a very small company. There are only 65 people: 12 watchmakers, four engineers, plus Enrico and I. We get a lot of freedom from Louis Vuitton to be creative. I didn’t expect that when they first took over La Fabrique du Temps. You developed high complications at Patek Philippe, Gerald Genta and Laurent Ferrier. How do you bring traditional watchmaking techniques into Louis Vuitton watches even though the brand is quite new to watchmaking? Technically, it is the same spirit but we work with designers who bring a contemporary, modern touch. When I finish my work, it is very classical. My spirit is very classical, technical and mathematical. 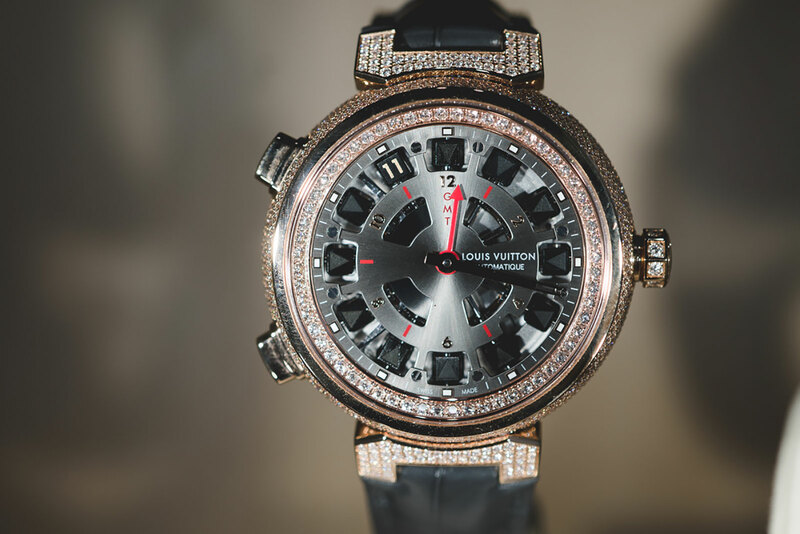 But I work with the team at Louis Vuitton – engineers, designers – and together we give rise to a modern movement. If you see our minute repeater, it was created with utmost respect for high watchmaking because our quality is the top but the design is very modern. Do you only work on high complications? I like very complicated watches but I also love simple watches with novel and original complications. That is difficult to achieve. My favourite is the Escale Spin Time. The cube display of the Spin Time is both interesting and surprising. Tell us more about it. The Spin Time because it was the first project we did for Louis Vuitton; it is a 3D complication driven by the Maltese cross. The difficulty in building the complications lies in linking the minutes to the cubes. In the first version of the Spin Time, the hour wheel drove the cubes, but now we use the minute wheel so it is extremely accurate. And we also added a new function that warns you five minutes before the cube jumps, because it is a jumping hour so you can read the time wrongly [near the top of the hour]. Five minutes before the jump, the cube rotates 15 degrees and after that, it jumps to the next hour. Is there an effect on the movement’s amplitude when the cubes jump? We have one hour to arm the spring that turns each cube; it takes a very small amount of energy. Do you have in mind complications with even more cubes? With the Escale Spin Time, we have 12 cubes for 24 hours. And we also have five cubes for the countdown function on the Regatta. But we still have some projects for the future. 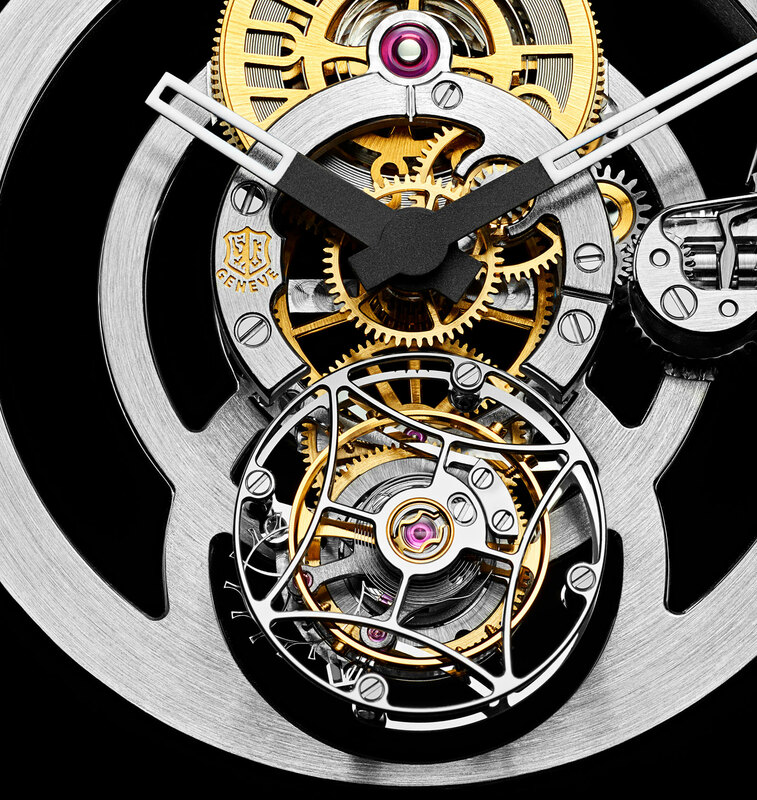 The Poinçon de Genève tourbillon is more traditional – the movement is almost symmetrical. What’s the story behind it? We have been in Geneva since 2014 and one of the reasons we moved there was to get the Geneva Seal. And we decided to create a see-through Geneva Seal watch, which was very difficult. It looks simple and pure, with the layout from 12 to 6 – with the barrel at the top, and the flying tourbillon at six. But it is very hard to do it well because you can see all the details. I noticed that the escape wheel on the tourbillon is skeletonised. It’s made with LIGA nickel. What is the advantage of using LIGA parts? LIGA is very precise and is very light because it is skeletonised. And the parts of the escapement have to be very light. And in the tourbillon, you use it because the carriage is already heavy? Yes. You cannot use gold for such parts. You have to use very light metal. Some brands use silicon, but I don’t. Why don’t you like silicon? It is very useful because silicon is very light, and it is also non-magnetic. But you have to be careful because silicon breaks easily when you handle it. Louis Vuitton melds its novel rotating cube time display with the hand-painted, multi-hued livery of the Escale World Time. Specs and price below.